So, fish oil might increase aggressive prostate cancer! I think not. More often that not studies like these, that are outliers of the general trend of research on a topic usually end up being proved to be wrong. In this case, the resounding trend is for fish and other omega 3 oils to have numerous health benefits, including reduced prostate cancer risk. In the meantime, sadly, the media is having a field day. The damage is done. Like salmon? Pop fish oil? Got a prostate? Then listen up. A new cancer study rolled in this week, and at first glance, it looks like bad news for any fish-loving men out there. A team of researchers at the Fred Hutchinson Cancer Research Center found a disturbing link between blood levels of DHA – that darling omega-3 fat abundant in seafood – and the risk of developing aggressive, “high-grade” prostate tumors. Compared to folks with low DHA levels, men with the highest levels were 2.5 times more likely to wind up with aggressively growing prostate tumors. 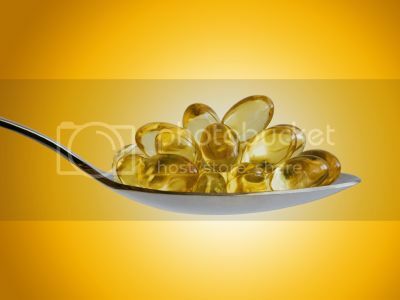 According to the researchers, very few of the study subjects were supplementing with fish oil – so these findings probably don’t reflect unbridled mega-dosing of omega-3 fats. Despite its consistent role in boosting heart-health, it looks like fish oil could be a double-edged sword. And maybe a stick of trans-fatty margarine is really a cancer cure. Intriguing, eh?